One popular image of the interwar years portrays the period as a time of depression, deprivation and decay. However, much recent work has tended to take, on balance, a more optimistic view of social conditions. 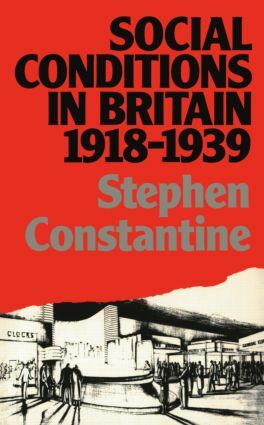 In this pamphlet Dr Constantine examines the basis for such conclusions by reviewing the changing employment porspects for manual and non-manual workers, levels of family expenditure on food, consumer goods and leisure activities, the extent and causes of poverty, the quality of interwar housing and the records of the nation's health. The effects on living standards of demographic change, economic growth, wage levels and government policies are considered. The period is seen as a time of transition, witnessing significant shifts away from older patterns of employment and social conditions towards those characteristic of an affulent mass consumer society. However, there were casualties from this process of accelerated change, and class and regional inequalities remained.